China has been actively involved in the world coking coal trade which has gained more momentum after the country eliminated coal import duty, a large amount of foreign coking coal has flocked into China and occupied certain market share in the coastal region. However, there are factors of disharmony lying under the booming trade, foreign countries exercise different coal evaluation standards from China, for instance, lean coal in China is used for coal blending to enhance coke strength, in contrast, it is classified as thermal coal by foreign countries due to its low caking index. 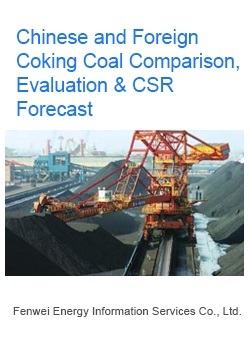 Different evaluation standards may lead to varied judgment of coal value and possibly incur heavy economic losses. This report is of great guidance value for coal consumers to purchase ideal coal either from the domestic or overseas markets, optimize allocation of coal resources, cut down cost and create more economic benefit.